French automaker Renault has announced the launch of its new mid-sized sports utility vehicle (SUV) 'Duster' in the Indian market. The new 'Duster' SUV model will come for Rs 7.19 lakh and Rs 11.29 lakh (ex showroom Delhi). The company is looking to increase its sales in the Indian market, which is one of the fastest growing auto markets in the world. The company will offer Duster in both petrol and diesel variants in the country. The petrol variant will be powered by a 1.6 litre engine and is priced between Rs 7.19 lakh and Rs 8.19 lakh. On the other hand, the diesel variant will be powered by a 1.5 litre engine and will be priced between Rs 7.99 lakh and Rs 11.29 lakh. Renault India Managing Director Marc Nassif said, "This year, we are looking to sell a total number of vehicles which is twenty times more what we sold last year. 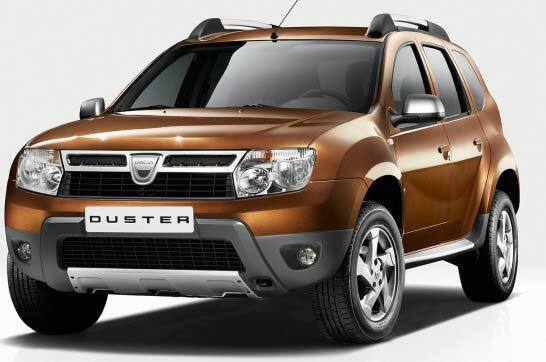 Duster is one of the five products that we have announced to launch in India." As for sales target, he has earlier said that the company is aiming to sell 1 lakh cars after it launched five models in the country and has 100 outlets. He said that it might be until 2013 or 2014 when the company will be able to have the desired presence in the country.